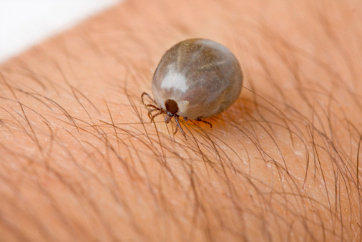 Lyme disease can be a serious illness that is spread to humans by the bite of an infected tick. In this area and across Ontario, cases of Lyme disease are on the rise as the black-legged tick (also known as deer ticks) population expands into new areas of the province. Click here to learn more from the Haliburton, Kawartha, Pine Ridge District Health Unit. Testing for bacteria is done FREE of charge. Sample bottles can be obtained at your local Health Unit office or designated location. By following the sampling procedure, you can return the bottles to locations in Haliburton or Minden, which will then forward them on to the Provincial Lab in Peterborough for testing. Where can I take my Sample in Haliburton County? Minden - Minden Public Library - Water samples can be dropped off Tuesdays and Wednesdays from 10 am to 8 pm. To learn more about drinking water safety, contact the Health Unit toll-free at 1-866-888-4577 and speak with a Public Health Inspector. Click here to learn more from Well Aware including how to take a water sample. If you get your water supply from a private well, you need to test the water on a regular basis. Remember, you should not drink lake water and in fact, you should not even use lake water to wash your dishes! Water quality can change. Testing your well water will keep you up-to-date on the quality of your family’s drinking water. Next to properly maintaining your well, testing is your best strategy for playing it safe.